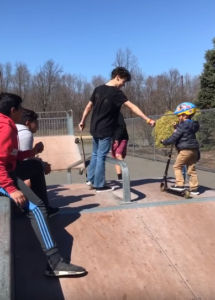 Teens At Skate Park Give Birthday Surprise To Boy With Autism & Hearts Are Melting. Communicating and interacting with others can be really tough for children with autism. That’s why five-year-old Carter Braconi of New Jersey tends to shy away from large groups of people. 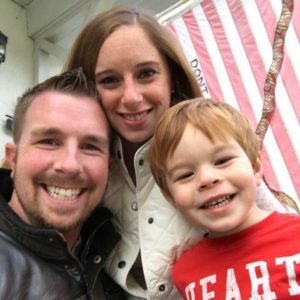 The little boy has high functioning autism and ADHD, so his parents know to watch out for any social situations that may make him uncomfortable. 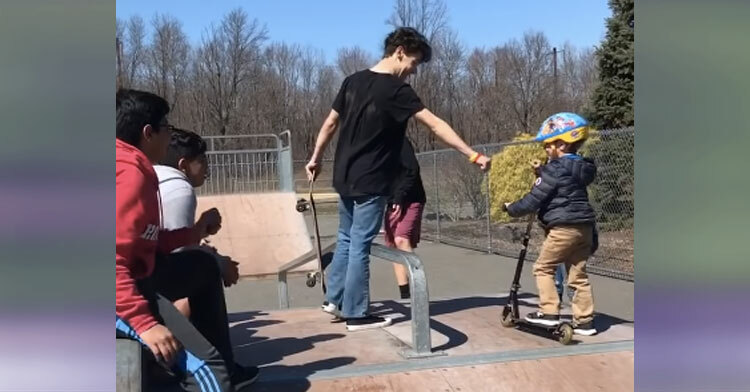 But Carter’s recent trip to a South Brunswick skate park may be his most memorable experience thanks to the older kids he met there. 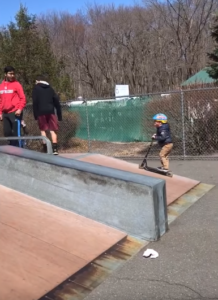 Carter and his mom, Kristen, went to the park on March 26 to celebrate his fifth birthday. 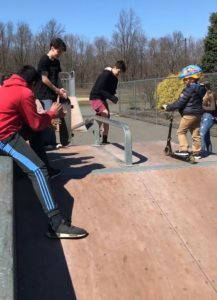 Carter rode around on his scooter for around 30 minutes before a group of middle schoolers arrived on skateboards. Understandably, he grew nervous. Not only were they friendly to Carter, but they sang “Happy Birthday” for him when Kristen mentioned it was his birthday! One of the boys even gave him a fist bump, which we’re sure made his day. 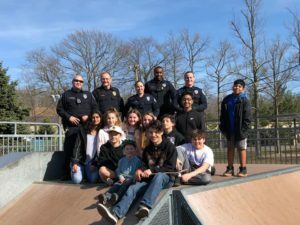 Kristen, who had recorded the sweet encounter, shared the footage on Facebook, where it caught the attention of the South Brunswick Police Department. They were so impressed by the kids’ willingness to include Carter that they asked for the public’s help in identifying them. They wanted to reward the “superheroes” for their kindness. After receiving a flood of calls in the following hours, they identified the 10 teens as Gavin Mabes, David Lakatos, Aaron Perna, Luis Velazquez, Damon Andon, Jiya Salman, Jessica George, Lauren Mazur, Samantha Schwab, and Om Patel. The police department presented all of them (including Carter) with challenge coins, which are given in recognition of exceptional actions. They’re also planning a pizza party for sometime in early April. According to Kristen and her husband, Greg, Carter is still glowing over the experience. “They were just so, so kind to him and he’s still talking about it. He watched the videos for two days,” Kristen said. Way to be such a great example to your peers, kids! If everyone learned to be as inclusive as you, the world would be a much friendlier place. Check out what Carter probably considers his best birthday ever in the clip below, and don’t forget to share.